For the last 3 years I have used these exact plans to build over 15 rings for Indy feds and for sale. Now you can have step by step instructions (detailed and easy to follow) for 3 different kinds of rings. When you get these plans you will actually be getting 3 step-by-step plans so you can make the wrestling ring of your choice. 1. 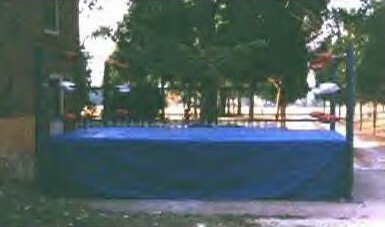 Build a pro ring such as a WWF and WCW. This comes with a complete list of supplies you will need and estimated cost. These plans will give you a list of all of the supplies needed and a good cost estimate.